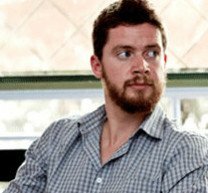 In 2010, a few entrepreneurs in the United States contemplated a mobile financial inclusion solution for Kenya. A land of 10 million people, the majority of the Kenya’s adult population carried ATM-like M-PESA cards. But less than half the population had bank accounts. And until recently merchants lacked terminals to process payments. This made M-PESA useless for millions of Kenyans. Without a payment system connecting consumers and merchants, the unbanked of Kenya carried cash. Mobile phones in developing countries like Kenya, however, are ubiquitous. 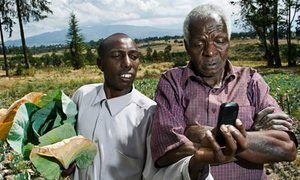 Simple mobile devices with SMS capability would provide a solution for Kenya if phones, M-PESA and merchant payment systems worked together. Mobile financial inclusion among the un-banked would become a reality. One thing was missing, however: a payment service company to integrate the entire system. That mobile financial inclusion solution was Kopo Kopo. During my interview with Ben Lyon, Director of Special Projects , he said that 70% of Kenyans have adopted M-PESA since 2007. That’s 7 million payment system adopters in only a few years, unheard of in the annals of financial inclusion. Kopo Kopo faced a major challenge: convince venture capitalists, merchants, Safaricom, Kenya’s mobile operator and, through them, M-PESA card holders that there was a better solution. 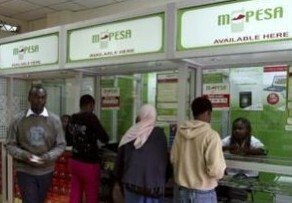 Similar to the Chase Paymentech/Square service, Kopo Kopo stressed that M-PESA required a mobile back-end technology player to integrate transactions. An example is someone having coffee at the Nairobi Coffee House. Paying the bill is a simple “push” action by the customer, who enters a six digit retailer number, the payment amount and pin. Payment is confirmed within 15 seconds via SMS to the payer and retailer. Kopo Kopo only processes mobile money payments (for now). The company doesn’t enable merchants to accept cards. Safaricom provisions dedicated merchant SIM cards, which Kopo Kopo is responsible for testing, packaging and distributing as part of the onboarding process. In this sense, Kopo Kopo distributes but does not “supply” the SIM kits. The company is growing quickly. Its most recent transactions equal $50M, a huge part of Kenya’s GNP. As Kopo Kopo’s blog points out, the “world is watching” as mobile payments continue growing in East Africa. Listen to the podcast interview for a discussion about mobile financial inclusion. Click the arrow above to listen. Read other articles in the series by clicking here.